New York, N.Y. – The $30,000 Rea Award Winner is ANDREA BARRETT. Michael M. Rea founded The Rea Award for the Short Story in 1986 to encourage the writing of short fiction. The annual $30,000 Rea Award recognizes a living U. S. or Canadian writer. Rea established the award to honor a writer who has made a significant contribution to the discipline of the short story as an art form. In three collections of stories and six novels, Andrea Barrett has continually enlarged the geography of her imagination, and her lucky readers have been the beneficiaries of those explorations, experiencing, as her characters so often do, the way our own small pasts bear on our own small present. Barrett offers us the news from other worlds as a way to understand our own. In settings ranging all over the globe and from all different time periods, she specializes in examining what’s particularly human in the science we do, bringing those traditionally disparate worlds to bear on each other in surprising and moving ways. And she accomplishes those broad thematic implications with a precise and quietly intelligent style that surprises and disturbs and gratifies. That deceptive formal modesty keeps our focus on the world at the fiction’s heart and produces testimonies designed to celebrate the attested rather than the attester. The result has been a body of stories that like all great fiction expands our knowledge, brings us more fully into contact with the suffering of others, and supplies intense and gorgeous pleasure. Andrea Barrett is the author of three short story collections and six novels. Her story collections include Ship Fever (1996), winner of the 1996 National Book Award; Servants of the Map (2002), a finalist for the 2003 Pulitzer Prize for Fiction; and most recently Archangel (2013), a finalist for The Story Prize and also featured in the New York Review of Books. Her novels include Lucid Stars (1988), Secret Harmonies (1989), The Middle Kingdom (1991), The Forms of Water (1993), The Voyage of the Narwhal (1998) and The Air We Breathe (2007). Among her numerous awards and grants Barrett won a 1992 National Endowment for the Arts Fellowship, was awarded a John Simon Guggenheim Fellowship in 1997 and in 2001 received a fellowship at the New York Public Library’s Center for Scholars and Writers. In 2001 Barrett was awarded the highly esteemed MacArthur Fellowship. 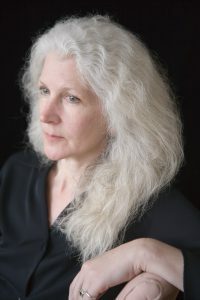 Andrea Barrett’s stories have appeared in numerous periodicals and anthologies including A Public Space, The Paris Review, Tin House, Ploughshares, The Pushcart Prize, One Story, TriQuarterly, Salmagundi, The American Scholar, and the Kenyan Review. Her fiction and essays have been selected for Best American Short Stories, Best American Science Writing and Best American Essays. “The Particles” won a 2013 PEN/O. Henry Prize and a new story, “Wonders of the Shore,” will appear in Best American Short Stories, 2016. As in the work of William Faulkner, some of Barrett’s characters have appeared in more than one story or novel. In an appendix to The Air We Breathe (2007), Barrett supplied a family tree, making clear the characters’ relationships that began in Ship Fever. The intertwining of these families has continued through the stories of Archangel (2013) and into her most recent work. Although each novel and story is self-contained, the reader comprehends an added dimension when familiar with the characters’ previous histories.